The BMW M550d xDrive model made history from day one, thanks to its driving dynamics aided by the monster torque under the hood. The first M550d used a tri-turbo setup for the 3-liter N57S engine which allowed it to push out monstrous levels of power – 376 up and 550 lb-ft of torque. Then came the second version which uses four turbos hooked up to the B57S unit and makes even more twist and power, rated at 400 HP and 567 lb-ft of torque. Those figures are incredible for a diesel 3-liter mill. They provide this car with the perfect balance between performance and fuel efficiency, as we found out during our own time with it. It’s a rocket from standstill, being on par with the F10 M5, reaching 100 km/h (62 mph) in a claimed 4.4-seconds, less in real-life testing scenarios. At the same time, you could cover up to 1,000 kilometers with one tank, something you can’t possibly pull off with a high-performance M car. Some people, however, think there’s more to be squeezed out of the four turbos and the engine attached to them. The guys from AutoTopNL have been publishing a couple of videos showcasing a tuned M550d with a claimed 515 HP and 865 Nm of torque. Those are some seriously higher figures but how do they improve the car’s performance? 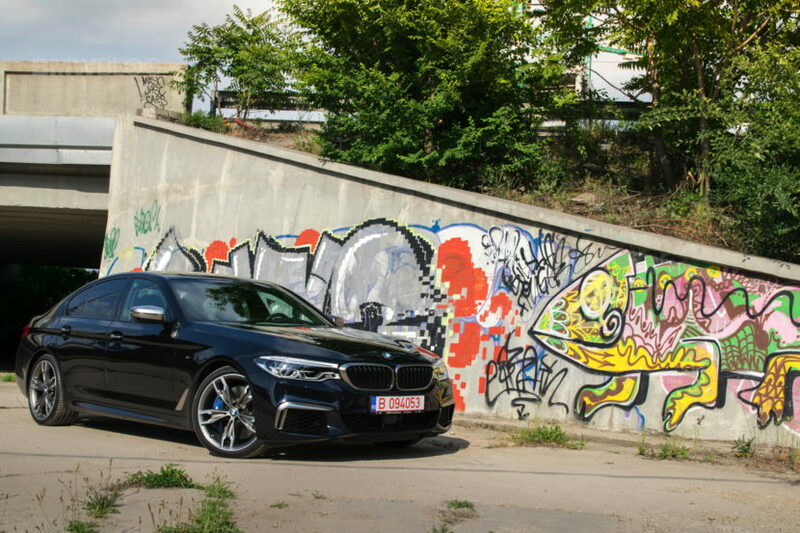 According to the tuner, the upgraded M550d should do 100 km/h from standstill in 3.8 seconds, which is noticeably faster than the stock model. The problem is, the video below doesn’t seem to show that much of a difference between them. Sure, the McChip model is faster, especially after reaching triple-digit speeds, but in the run up to 100 km/h (62 mph) it doesn’t seem to be 0.6 seconds faster. And yes, there’s also the fact that the M550d did the sprint at 1 degree while the weather was considerably nicer when the 515-HP model was put to the test.